Once a wise man said, "If you don't know what to compliment your girlfriend with, buy her a luxurious piece of jewels." And he was undoubtedly right. Diamonds are girls' best friends, remember? 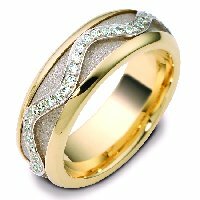 Our stunning rings, bracelets, earrings will be an ideal and desirable gift for any women. 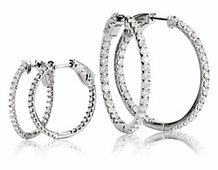 If you're looking for wedding gift jewelry, you can find perfect earrings to become a part of a bridal look at WeddingBands.com. 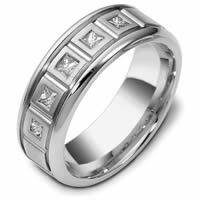 We sell not only gold jewelry online but also from platinum and palladium. 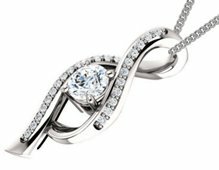 Buying jewelry online is more eloquent than words. The diamond is associated with the eternity, and the ruby means passion. Presenting a luxurious ring with a heart-shaped diamond, you can propose to your girlfriend practically without any words. To add more, jewels are highly customizable gifts. You can even create online the jewelry and buy it without leaving your office. 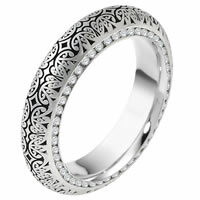 And what is more, wedding gift jewelry can become a heritage heirloom bearing the resemblance of that big day. The present will call back unforgettable emotions every time your soulmate is wearing it. So if you want to run deeply in one's head, buy our jewelry online. Frankly speaking, adoring a girlfriend, a wife, a woman with a gem has got a long tradition. It�s one of the most popular gifts for women, and moreover, it has usually got a WOW-effect same as with cars, but still much cheaper. 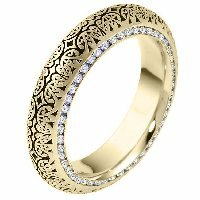 You can buy gorgeous gold jewelry online from our store to light up your queen. That means you can order a custom-made item just by sending you sketches or wishes to CustomerService@WeddingBands.com or calling us at (888) 422-4333.